I bought the first one that went up for sale in this thread. It works flawlessly. Yurkie offers the highest quality work and truly the best customer service you will ever have here at AA or anywhere else for that matter! Love the picture from the composite mod. Works faboo on my 55" LCD. Yeah, after it is cleaned up. I just received my Colecovision back from Yurkie with the ball contoller update and A/V mod. I can't thank him enough. I've always liked the colecovision but would avoid playing it because of the controllers. IMHO they are far worse than the 5200 stock controllers. This mod he does with the ball, it makes all the difference in the world. Thank you Yurkie I can now truly enjoy Colecovision for the first time. Glad your enjoying the controllers. Refurbished controllers with ball knobs make a huge difference. Here is a set of refurbished controllers with ball knobs. $60 plus shipping. There are links to all my services in my profile. If you would like a set with straightened cords, or need any ColecoVision mods or repairs send me an IM. Picture of item in the first post. Controller set and Complete system are both still available. Getting down to the wire to have this by Christmas. If you buy today or tomorrow, I will ship Monday and it will most likely arrive in time. ColecoVision System sold. Controllers still available. I have had a few people ask about getting a complete system after Christmas and will probably list a some more complete systems after the first of the year at the same price of $129. Here is another completely refurbished ColecoVision with my single jack A/V composite mod and controllers ball knobs. This unit tested and everything is in perfect working order. Picture of System in first post. Received one from him a few days ago. Great job Yurkie! 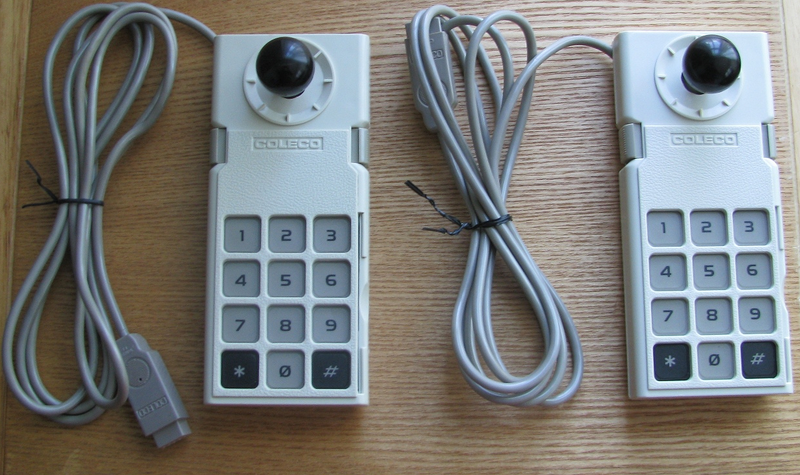 Set of refurbished ColecoVision Controllers with ball knobs and straightened cords added to first post. Just out of curiosity, are you actually straightening the original cords, or using SA Controller cords? I am very surprised that you would question me on this Murph. They are coily cords that have been straightened. Here is a picture of an ADAM set. He dyed those gray just to mess with us. I didn't get the cords straightened! (dummy!) when I had my coleco modded! Need to send a pair of controllers to Todd and have them 'straighten'! Complete systems and controller set in post #1 still available. DO you still have that colecovision availiable? 2 complete system with all my mods in post #1 of this thread. Edited by Yurkie, Fri Jun 10, 2011 11:21 AM.